WLBC’s Film Club shows top notch films that have a connection (direct or oblique) to Buddhist teachings, selected and introduced by people from the WLBC sangha (community) and often accompanied by food, drink or music related to the film. Join us to enjoy and discuss the film, and to hang out. 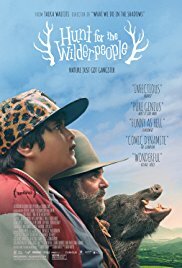 This month, Manju Gregory introduces Hunt For The Wilderpeople.